Due to a wet field, the schedule has changed for the Forney - Waxahachie baseball playoffs. Game one in Waxahachie tonight at 7pm. Game 2 will be in Forney tomorrow night at 7. Game 3, if needed, will be Saturday in Forney at 2pm. 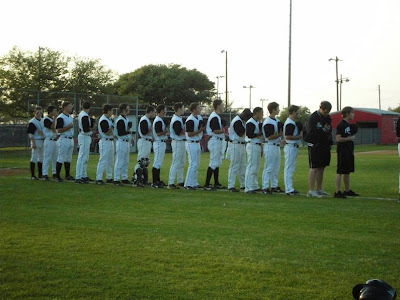 Forney High School baseball team 2009 at Ben Gill Field in Terrell.